Jelly is a new way to search with pictures and people from your social networks. It's also people helping each other—something that's both meaningful and fun. Ask questions with images to deepen the context. Crop, reframe, zoom, and draw on your images to get more specific. Jelly works with your existing social networks. In addition to asking, you may find yourself answering questions as well. Questions can be forwarded outside the app so your friends who don't have Jelly can still help. It feels good to help! 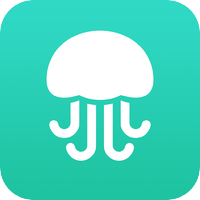 Jelly by Jelly Industries, Inc.